Margaret Sentamu rallies churchgoers to show they care this Christmas. Margaret Sentamu is urging churches throughout the country to show they care this festive season and send a personal Christmas greeting to marginalised members of their community. The campaign is spearheaded by the UK’s leading fair trade organisation Traidcraft, which has launched Charity Christmas Card Week (16th to 23rd November). Margaret Sentamu says: “The hustle and bustle of the lead-up to Christmas can be both a blessing and a burden for many of us. But for lots of people, even those of us who are part of a loving church community, there’s no one to share the joy of this time of year and they simply can’t help feeling lonely. It is estimated that £50m is raised for good causes through the sales of charity Christmas cards each year. 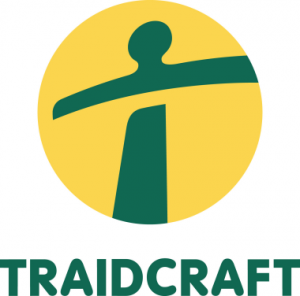 In the last five years Traidcraft has been able to give over £500,000 to SCIAF, CAFOD & Christian Aid through the sale of Christmas cards, products and top-up donations and Traidcraft was able to re-invest remaining profits to further its work in fighting poverty through trade. Charity cards can also be ordered now at www.traidcraftshop.co.uk/christmascards. Established in 1979, Traidcraft fights poverty through trade, helping people in developing countries to transform their lives. It runs development programmes in some of the poorest countries in the world, and campaigns in the UK and internationally to bring about trade justice.